Previous attempts I've had at cloning commercial recipes include Green Flash West Coast IPA (original recipe) and Dieu Du Ciel's Isseki Nicho, both beers I'd been able to sample enough to have a stab at from scratch. The former was pretty close in my view with the latter being slightly wide of the mark, but still resulting in a decent beer overall. A friend of mine asked me to brew a beer for his wedding day. Initially this was going to be a Belgian blonde, something along the lines of Leffe Blonde, which on the face of it would have been pretty straightforward apart from reaching the same levels of 'perfume' from the spices perhaps. 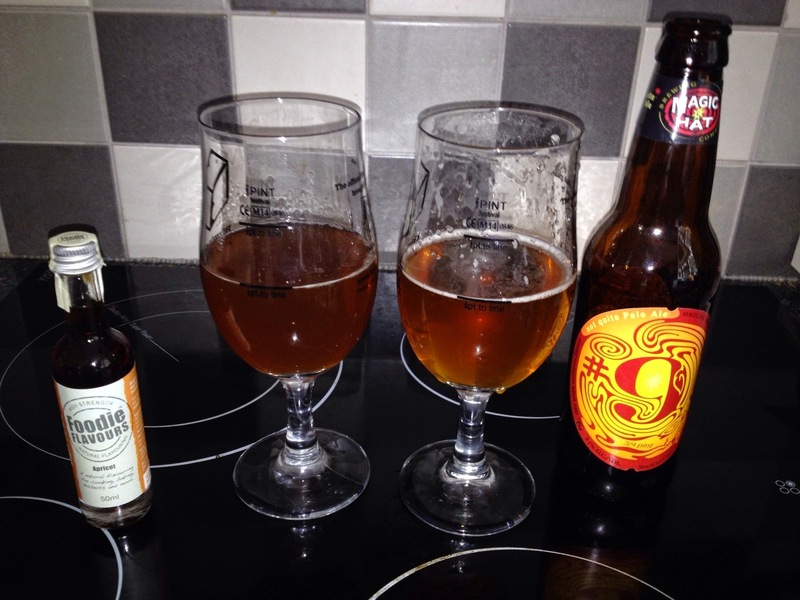 However, things took a twist when he changed his mind and decided that Magic Hat's #9 was to be the beer of choice. My friend visits the US frequently with his job and both he and his fiancée love this beer. I believe their plan is to have their guests drink this while en-route to the reception after the ceremony, so perhaps the lower ABV was a wise choice! "An ale whose mysterious and unusual palate will swirl across your tongue & ask more than it answers. Brewed clandestinely & given a name whose meaning is never revealed. Why #9®? Why indeed." Hmm, well that's nice and fluffy. Clandestine and mysterious are not clone-brew friendly words at all. However, their site does contain some useful information too, including the malts, hops, yeast, SRM, IBUs and OG. 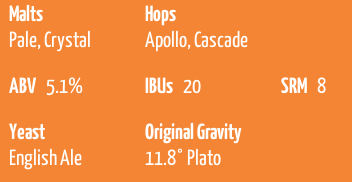 I do appreciate it when breweries share this level of information about their beers. 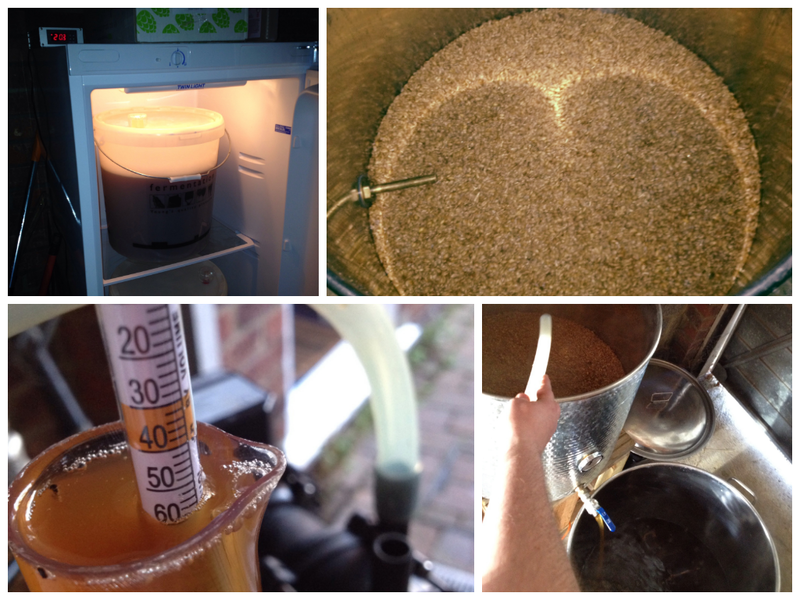 While most consumers might not find it interesting, as a home brewer I'm all ears! The base beer is, on the face of it, very simple. The choice of Fuller's yeast was an interesting one, as to me this is a fruity estery kind of yeast and I imagined the beer to be clean to let the apricot shine. I put my faith blindly in the CYBI recipe and jumped in but did decide to run the yeast towards the bottom of the range in order to keep a lid on the esters it produces - just a hunch I had really. So in terms of numbers, I had 30 IBU, 21 EBC, OG 1.058 and an FG of 1.017 giving me 5.3% ABV. While that was fermenting, I had a think about the apricot. The brewer in me wanted to use real fruit but the main issue there was getting the flavour right. By now I had a bottle en-route, courtesy of the groom, so would have a chance to dose flavouring in while tasting the real thing side-by-side. In the end, I settled on using a natural flavouring which I got from Foodie Flavours. Packaging day arrived and I poured out 1/3rd pint of #9 along side the same quantity of my beer taken from the FV. The first thing that pleased me was the colour was pretty much there. Tasting #9 was interesting - definite English Ale characteristics, a low bitterness and a very subtle apricot flavour in the finish, which also carried over to the aroma. I started to drip the flavouring in to my beer and only needed two drops before I was pretty close in terms of flavour and aroma - actually very pleasingly close, success! So next was just a case of doing some sums and working out how much to add to my final quantity, followed by a marathon bottling session (123 bottles). These will now be left to condition for 7-10 days before being labelled with a fantastic custom design that another friend of the happy couple conceived. Best of luck for your big day, Damian and Vanessa. Hope you enjoy the beer! To me as well i feel the choice of fuller's yeast is interesting like you have mentioned this is a estrey kind of yeast. This was so educatie and i can not wait to try these by myself soon when friends are coming over. care to share your issekki nicho recipe, and what you might change of you were to attempt to clone it again?